﻿ Understand your Nonprofit’s Supporters with Email Reports » Red Mango Marketing! In order to effectively communicate with your nonprofit audience, you have to understand them. Each person has different needs, wants, and interests. What catches one person’s attention may have no effect on another. When you start out using email marketing, you may not know much about your subscribers. The great news is that your email marketing reports provide a wealth of information so you can learn about your contacts and improve your results. Figure out their interests regarding your organization and how they want to support you. In turn, you can send more relevant content that encourages people to take action. If you’re not using email reports to learn about your subscribers, you’re missing out on the opportunity to fully engage and communicate with your contacts. Yes, there is data that suggests a day and time to send for all nonprofits, but it’s important to use your own open report to understand your own audience. You want to know when they are most likely to open. Understanding this information allows you to send at a more optimal time for better results. Look at the “Date and Time” column in your open report to notice any trends. Consider the day of week and time of day. *Does your reporting page look different? Stay tuned for new reporting pages coming soon to your account! Pick a few days and times to test, then use the best performing options when sending future emails. Use the Compare Campaigns feature to easily see the results side-by-side. There are many factors that can affect your results, but one of the most impactful is by sending targeted, relevant information. Just think, if you receive an email in your own inbox that doesn’t apply to you, what do you do with it? In many cases, you’re going to simply delete it or worse, mark it as Spam. That’s why you want to understand each of your contact’s interests and how they are involved with your organization. It’s important to send information they care about and that inspires them. This will encourage them to take action and support your cause. In fact, stats from Experian show that targeted emails typically get 11% higher opens and 27% more clicks. The click report is a great way to understand what topics each contact is interested in. When someone clicks a link, you know they’re interested in that topic. 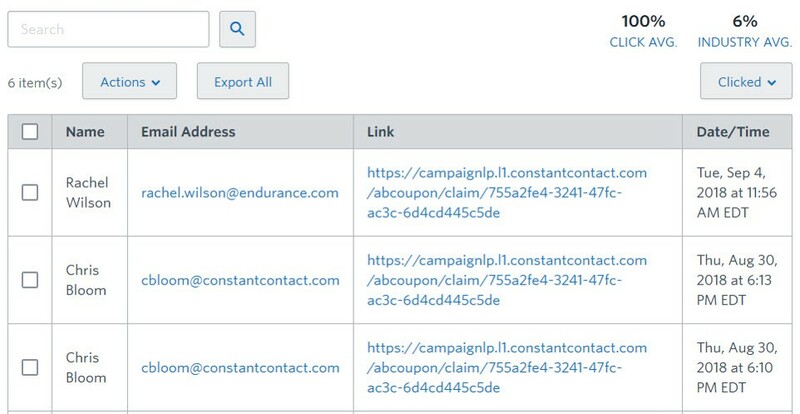 Dive into the details to see which contacts clicked on each link. Save contacts directly from your report to their own list so you can send them related information in the future. Automate this process for future emails by using Click Segmentation when editing your template. Need to group contacts based on other characteristics? 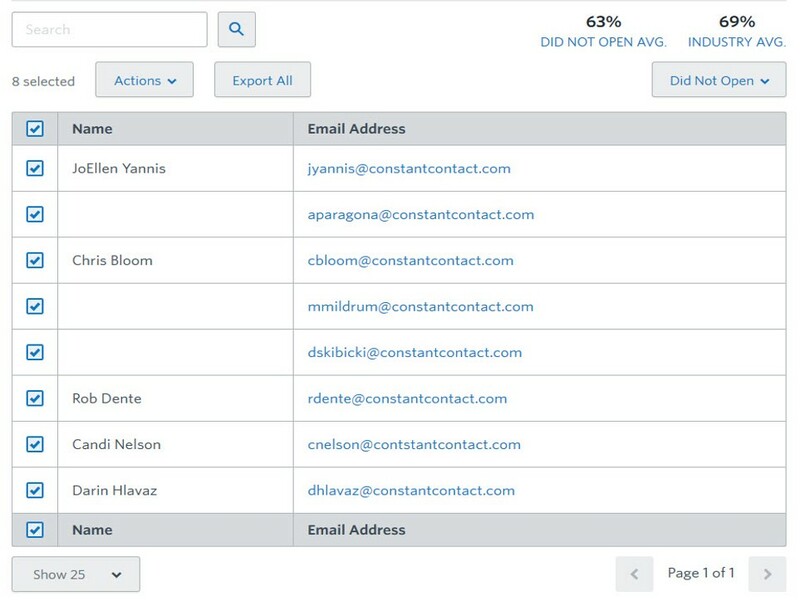 Check out the Segments tool to group contacts based on activity, list membership, and contact details. Create groups of like-minded supporters so you can send the most relevant information. As you may know, you have a good portion of contacts who show up in the Did Not Open report for every email you send. While that might sound scary, you don’t want to discount these subscribers and remove them quite yet. Remember, they signed up to your organization’s email list for a reason – to support your cause. That’s why you should try to re-engage them. It’s possible you haven’t caught their attention, they’re too busy, or you’re not sending at a good time. To start, you can automatically resend your email to non openers a few days after the initial send. 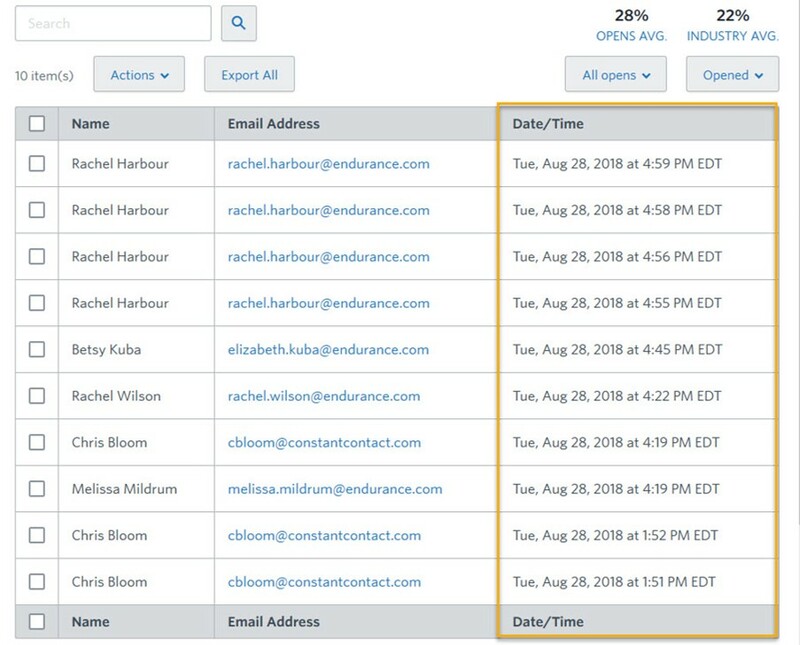 You can adjust the resend timing between 3 and 7 days and also change the subject line to better catch their attention. For some, you may need to try a different strategy altogether, so learn their preferences and exactly how they want to support your organization. Create a list of non openers and send something unique to this group of subscribers. It could be some sort of contest, content recommendations or even simply asking them what they want. Try using a headline such as “We miss you!” or “We miss your support!” in your email. Use your reports to your advantage! As you can see, you have access to valuable information in your email reports. It’s up to you to use this information to improve your email marketing results. You’ll better understand your audience, send more effective communications, and build deeper relationships with your supporters. Your contacts will feel more connected and continue supporting your organization. Log in to your account today! Learn about all of the email marketing reports in our free webinar: Measure Your Nonprofit’s Email Marketing Success with Reports. The post Understand your Nonprofit’s Supporters with Email Reports appeared first on Constant Contact Blogs. This entry was posted on Tuesday, September 18th, 2018 at 8:31 am	and is filed under Email Marketing, News & Updates, Nonprofit. You can follow any responses to this entry through the RSS 2.0 feed. Both comments and pings are currently closed.